JERUSALEM – Vandals have spray-painted “Death to Christianity” and “Jesus, son of a whore” on a Greek Orthodox monastery in Jerusalem. 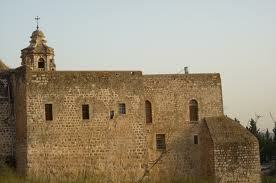 The overnight attack on the Monastery of the Cross was the latest in a series of vandalisms of Christian holy sites. Extremist Jews sympathetic to Israel’s settlement movement are suspected. Israeli police spokesman Micky Rosenfeld said Wednesday the vandals also sprayed “price tag” on the monastery’s outer wall — a form of retribution settlers and their sympathizers use in retaliation for acts they consider to be pro-Palestinian. Extremists have carried out similar “price tag” attacks on other churches, mosques and Israeli military bases. Prime Minister Benjamin Netanyahu denounced the defacing of the church. Israel has 155,000 Christian citizens, less than 2 percent of its nearly 8 million people.